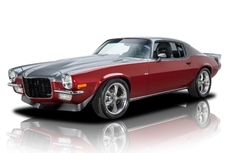 General description : This 1967 Chevrolet Camaro SS/RS 2 Door Hardtop (Stock # B11494) is available in our Benicia, CA showroom and any inquiries may be directed to us at 707-748-4000 or via email at Sales@SpecialtySales.com. New to our Benicia showroom is this beautiful 1967 Chevrolet Camaro SS/RS 2 Door Hardtop with outstanding Marina Blue exterior paint and a factory black vinyl top and matching deluxe black vinyl interior. The current owner informs us that you’ll find the factory 350 cid V-8 engine under the hood along with a 4-speed manual transmission, Posi traction, factory tilt steering, alloy wheels, air conditioning, a factory radio and so much more. This incredible, beyond-rare survivor is in show-stopping condition as well and it is one of the nicest classics you’ll have the pleasure of viewing this year. 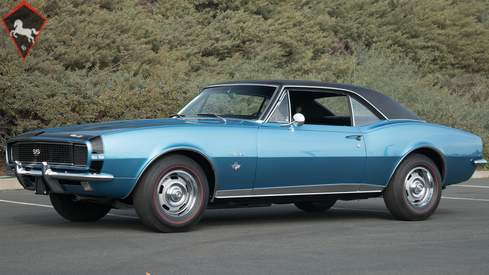 This 1967 Chevrolet Camaro SS/RS Hardtop was custom ordered from Gateway Chevrolet on February 2nd 1967 with a 4-speed manual transmission, a radio w/ rear antennae a deluxe heater, front disc brakes, fast steering, GM air injection and front/rear deluxe seatbelts. We have verified that the block stamp on the motor matches the VIN and the current owner tells us that this example is as close to a 100% survivor as you’ll find anywhere in the nation at this time. In fact, he requested for us to not complete any engine detailing so you can see exactly how this amazing muscle car has been maintained throughout its lifetime. It is outstanding in every sense of the word. Additionally, the current owner of this 1967 Chevrolet Camaro SS350 Hardtop informs us that it has never been restored other than basic maintenance and care throughout its life. We can’t certify these comments to be accurate but after an extensive visual inspection, we simply do not see anything to refute the current owner’s claims. This is one of the most exceptional survivors we’ve seen in any make/model from the late 60’s and it belongs in a highly prestigious collection. We were also informed that this 1967 Chevrolet Camaro SS/RS Hardtop has not changed a bit over the past 50+ years other than the addition of air conditioning by the 2nd or 3rd lifetime owner. A visual inspection reveals a world-class, laser straight body with excellent trim and a virtually flawless appearance. The exterior paint gleams in the light and we did not notice any obvious imperfections. You’ll also be pleased to know that the factory interior is just as breathtaking with minimal signs of use to the front bucket seats and slight wear in the carpeting. Absolutely everything is here though at incredible unblemished and unrestored levels- you must see it for yourself to believe the levels of quality. Out on the open road, this 1967 Chevrolet Camaro SS/RS Hardtop still performs like a much newer muscle car with smooth acceleration, tight responsive handling and excellent stopping power. The engine in particular sounds great and it almost defies logic- a survivor of this caliber simply should not exist on the open market in 2019. And trust us, it won’t for long. Overall, this 1967 Chevrolet Camaro SS/RS 2 Door Hardtop is likely one of the most impressive true survivors nationwide- and that’s including examples in museums and private collections. Between the awesome documentation and everything you can see with the naked eye, this is one of the most desirable survivors we’ve ever had the pleasure of selling in our showroom. Do not let it slip away! For more information about this vehicle, visit our Benicia, California showroom, give us a call at 707-748-4000, or email us at Sales@SpecialtySales.com. Be sure to mention Stock # B11494 as well. 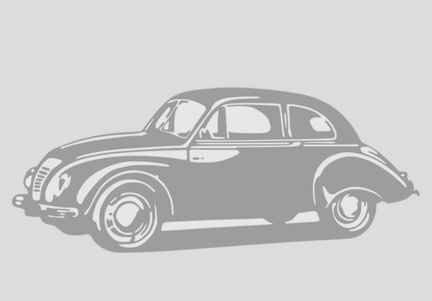 The information for this vehicle was provided by the current owner and it is not certified by Specialty Sales Classics. Therefore, it is in no way guaranteed as a basis of purchase. Any statements such as original or numbers-matching should be verified independently by the buyer prior to purchase. 1967 Chevrolet Camaro 8 cylinders 350 is listed for sale on ClassicDigest in Benicia by Specialty Sales Classics for $54990.